The Trump stock market rally since last year has created a false sense of excitement in bank M&A land. While announced deals priced nominally higher, deal activity was little changed compared to 2016 and remains below a busy 2014-15. This false excitement is borne out in deal volumes. Just over 200 deals were announced in 2017, representing roughly the same 3.5-4 percent annual shrinkage of bank charters that we’ve seen since the financial crisis. Most of that activity was small and mid-cap in nature. A handful of trophy-like, large-cap deals were announced, but no real momentum developed. THE NEW BREED OF REGIONAL ACQUIRERS. This group of 8 to 10 banks has made its mark and is a force to be reckoned with. The likes of FNB, Pinnacle, Old National and Bank of the Ozarks exploded past the $10 billion asset mark with a flurry of deals and are expected to continue to lead this steady but not over-heated M&A theme in 2018. Much of this group was in digestion mode in 2017, but they should be back in 2018. Several other banks that were previously sidelined, such as Fulton, M&T and New York Community, may re-enter the M&A fray, too. THE CANADIANS. RBC and CIBC have led the larger cap consolidation in recent years and are espousing further expansion. Acting quite strategically through deals with City National and Private Bancorp, respectively, both RBC and CIBC cited a need for more U.S. exposure and both did it by acquiring high net worth banking channels. These Canadian banks will not be the savior for every seller looking for a lifeline. They are selective and branch-lite advocates. They will, however, join TD and BMO and build around these new U.S. hubs. THE PRIVATE EQUITY COMMUNITY: Recap investors continue to exit their financial crisis investments and most of that activity in 2017 was executed through control sales, not secondary stock issuances. Sandler O’Neill estimates there are still 15 to 20 banks with meaningful minority stakes held by PE firms. Most of these will be liquidated within 12 to 18 months, as they are growing long in the tooth in LP structures. A number of things may ignite our steady state thesis and give M&A a bigger bump in 2018. Obviously, the big wild card is what, if anything, finally gets checked off the Trump agenda. The 45 percent post-election rally in bank stocks was achieved on words, not actions. With no material progress in policy advancement so far in 2017, stocks became volatile. So, for any elevation of activity to occur, we need regulatory relief, tax reform and interest rate increases. Two signs of regulatory relief have given us a glimmer of hope, however. On March 16, 2017, the Fed approved the proposed merger of Bridgeport, Conn.-based People’s United and Suffolk County National Bank on Long Island. As part of this approval, the Fed lifted key asset thresholds exempting certain transactions from systemic risk reviews. Additionally, in late October, the banking agencies issued a proposal that would simplify aspects of the capital rules. We are also entering the 2018 proxy season and the growing list of bank-specific activist shareholders may come alive. FactSet’s SharkRepellent estimates that activists influenced 23 bank deals in 2017, with a handful actually going all the way to full proxy contests. What we most certainly will not see in 2018 is a return of the big banks to the M&A game. It’s no longer an issue of regulatory constraint as it was from 2010 to 2017. It has now become an issue of desire and need. BB&T’s Kelly King is rethinking future M&A, saying, “we’re at a digital tipping point,” where digital platforms and alternative delivery channels may be more cost effective than traditional brick and mortar M&A. Certainly gone are the days of Wells Fargo, PNC or Bank of America rolling up three to five banks a year. We also do not anticipate any meaningful mergers of equals. This elusive beast is often discussed as a last resort, only in depressed markets when control premiums are not being paid. With control premiums averaging 20-25 percent over the last few years, even the best-intentioned boards would be fearful of a non-premium merger. So, temper your expectations for 2018, keep an eye on Washington for answers and beware of the investment banker pitching that this year will be a big one! 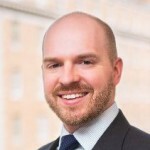 Emmett J. Daly is principal in the investment banking group at Sandler O’Neill and Partners. What we most certainly will not see in 2018 is a return of the big banks to the M&A game. It’s no longer an issue of regulatory constraint as it was from 2010 to 2017. It has now become an issue of desire and need.